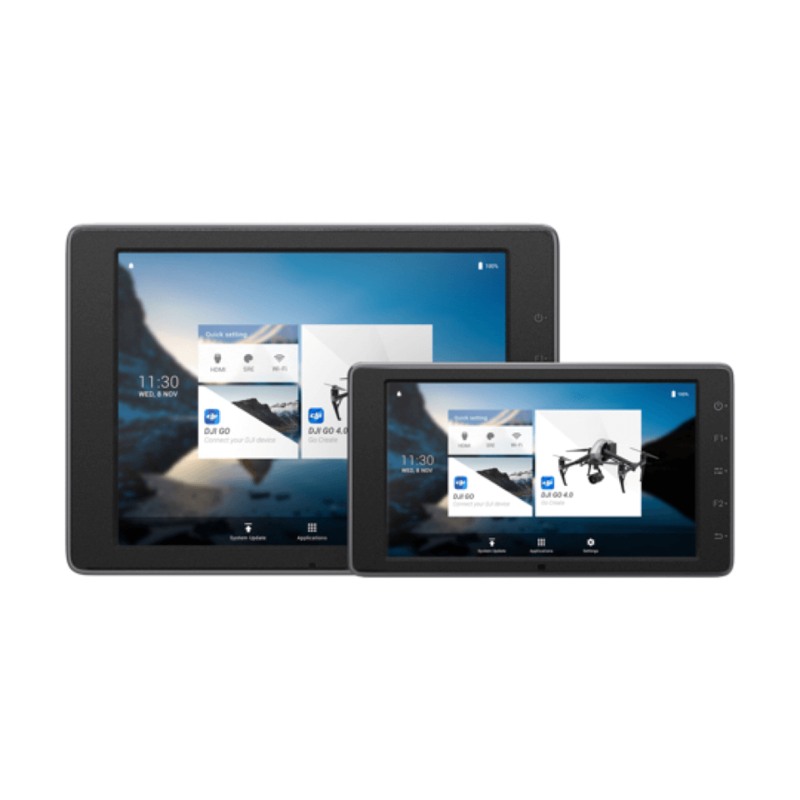 The CrystalSky monitor can quickly connect to the Inspire series, Phantom 4 series, Phantom 3 series (Phantom 3 Professional, Phantom 3 Advanced), Matrice series,Mavic Pro and Osmo series (except the Osmo Mobile) over Wi-Fi or via a remote controller USB port, depending on your specific product. * Also, CrystalSky easily attaches to the Cendence remote controller without an additional mounting bracket. *Monitor mounting bracket recommended. The Mavic Pro and Osmo series gimbal cameras (excluding the Osmo Mobile) are only compatible with 5.5" Crystalsky monitors.